Christians and Yazidis in the Syrian city of Afrin are asking for international assistance as Turkish warplanes and artillery hammer Kurdish positions around the city and Turkish ground forces roll across the border. 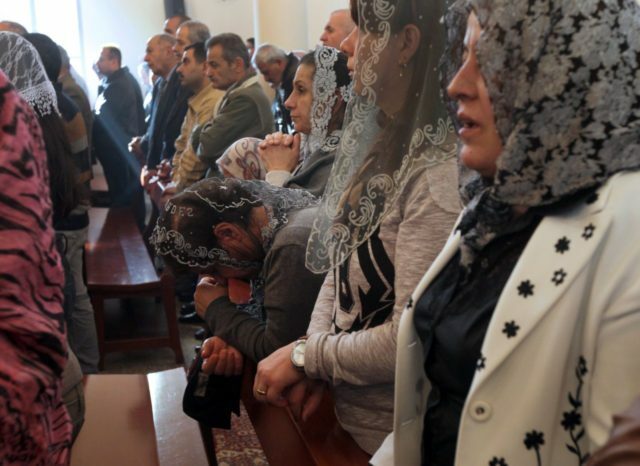 BasNews reports that a prayer service was held at the Ra’i Salih Church in Afrin for civilians caught in the crossfire, and the city’s Christian community has asked for international protection. “The Turkish President, Recep Tayyip Erdogan has vowed to eliminate every single YPG fighter in Syria. Meanwhile, PKK had already given orders to have immediate reactions if the Turkish army attempts to attack Afrin,” BasNews reports. The YPG is the Syrian Kurdish militia, whereas the PKK is the violent Kurdish separatist party in Turkey. The Turkish government considers the two Kurdish groups allies, if not one and the same. Hanan’s statement was reported by the Kurdish Rudaw news service, which states there are about 250 Christian families in the Afrin canton, 190 of them in the city of Afrin itself. Rudaw also carried several denunciations of the Turkish operation from other countries, including Cyprus, the Kurdistan Regional Government in Iraq, and Kurdish members of the Iranian Parliament. “Recep Tayyip Erdoğan, Turkey’s president, used the Turkish army to attack defenseless Kurds in Syria while the United Nations and other international organizations are silent. And world powers, as usual, are silent and watching the killing of Syrian Kurds,” the Iranian Kurdish MPs said in a letter to U.N. Secretary-General Antonio Guterres. One Iranian Kurdish deputy described the Turkish attack as a “barbaric act” akin to the depravities of Saddam Hussein and the Islamic State. Christians and Yazidis in northern Syria told the Associated Press they feared persecution by the Turks and their allies, many of whom are hardline Islamist militants. The Yazidi Association of Germany estimated that 15,000 Yazidis live in Afrin and said it fears abuse from “jihadists” working with Turkey as part of its offensive.